Dyna-Ski Boats have a tracking fin. Normally tournament style water ski boats have a tracking fin. Fish & Ski, Inboard/Outboards, Runabouts, Pontoon, Deck boats, etc. typically don't. 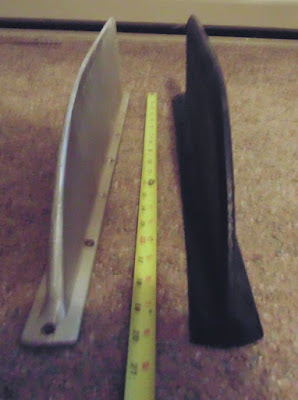 A tracking fin is designed to help the boat maintain a straight line while being pulled from side to side by water skiers and also help the boat turn at higher speeds. A person with a boat that has a tracking fin should give some consideration to the tracking fin when loading the boat, beaching the boat on shore and putting the boat on a boat lift. The tracking fin is not long enough to be a problem during normal operation as the lower housing of the motor and propeller are deeper in the water than the tracking fin. 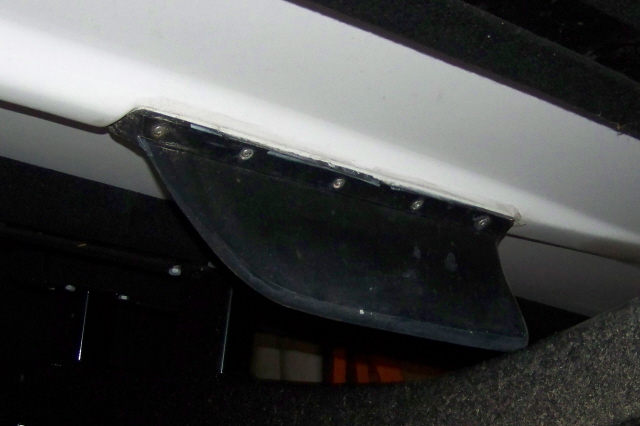 The trailers we sell with Dyna-Ski boats are built with the tracking fin in mind. Hydrodyne Boats had a cast metal tracking fin on them. Cast metal is old school. We prefer a fin that should break off instead of tear a hole in the bottom of the boat. 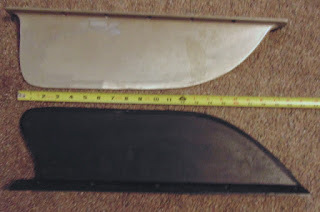 While a replacement fin isn't cheap it is way cheaper that fixing a hole in the boat bottom. 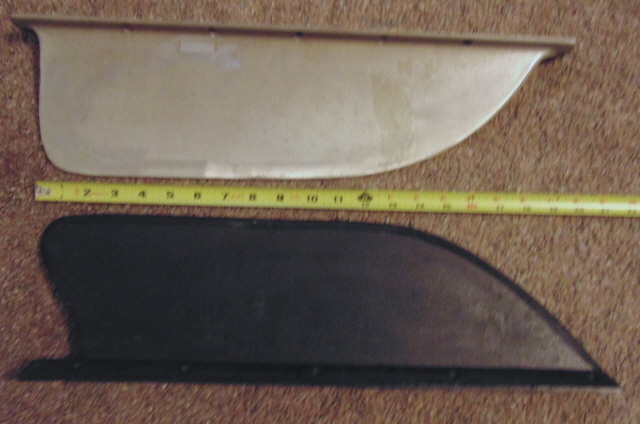 Below are pictures of an original never been used cast metal tracking fin and a composite fin that we make in the boat shop. The cast metal one is not for sale.